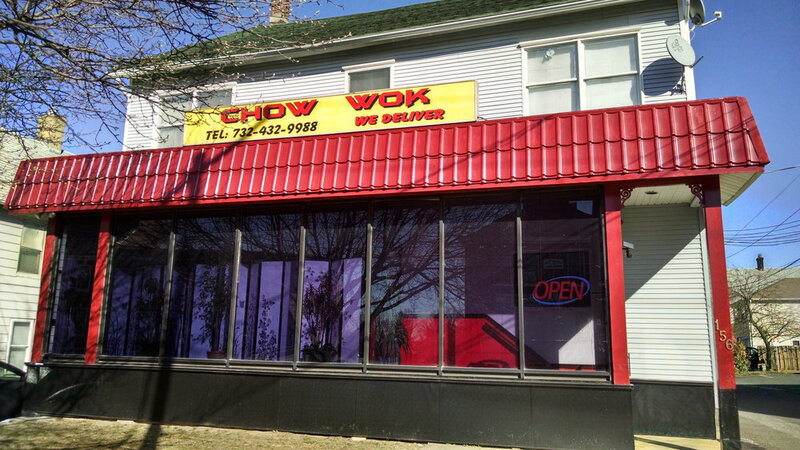 "NO MATTER HOW BUSY LIFE gets, THERE IS ALWAYS TIME TO CHOW DOWN"
Located at 156 Main Street, Sayreville, NJ, our goal at Chow Wok is to serve delicious Chinese cuisine always with a smile. Stop by the restaurant to eat in or call for take out or delivery. Have a look at our menu. We offer a wide variety of Chinese food to satisfy the whole family — meat-eaters and vegetarians alike. At Chow Wok, we make it our goal to provide both excellent food and friendly service at the same time to become a great restaurant. Always fresh and hot, Chow Wok provides a wide range of menu selections for parties large or small. A way to make lunch or dinner a bit more enjoyable. When it comes to Chow Wok restaurant coupons and discounts, our frequent offerings are among the most generous. So please feel free to check back often for deals — a new deal is likely coming soon.